The hero of Kitty’s report, Sergei, is a Russian citizen, who grew up in Kazakhstan and lived in Germany for 25 years. He came to Ukraine because “he feels it is his patriotic duty to fight.” As a foreign operator in Ukraine, the terrorist nonetheless believes that he is owed something by the Ukrainian government. He tells Kitty: “Maybe (Ukrainian President) Poroshenko will reconsider and leave us in peace. We don’t want to continue with the bloodshed. But if he [Poroshenko] doesn’t want that and won’t listen to us, then we’ll carry on fighting. And we’ll take what belongs to us… we’re going further. We’re advancing. That’s our land.” Sergei tells Kitty that he will keep on fighting in Ukraine and will return to Germany once the hostilities are over. 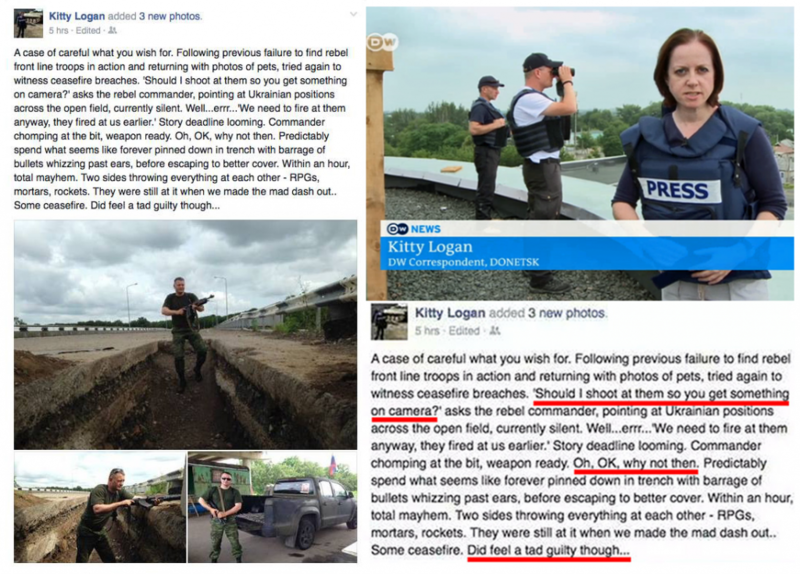 These apparent contradictions didn’t seem to bother Kitty Logan, but her participation in encouraging ceasefire violations didn’t go unnoticed. 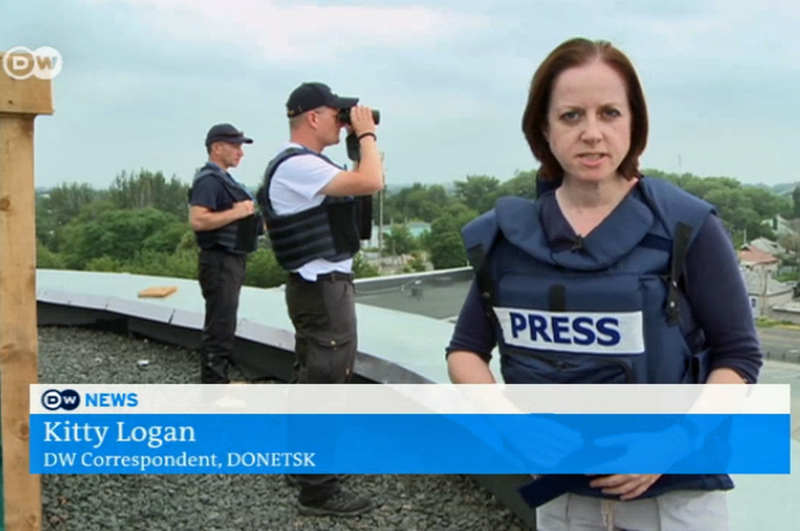 In response to further media inquiries, Kitty Logan wrote: “I’m not in Ukraine and unaware. Rumours/ allegations not correct.” Deutsche Welle did not respond to requests for comments. According to Kitty Logan’s LinkedIn profile, she no longer works for Deutsche Welle.